The ScreenBeam USB Transmitter is an add-on companion to the ScreenBeam Pro Wireless Display Receiver (catalog# SBWD100A01). It enables wireless display functionality to previous-generation Windows 7/8 notebooks that do not currently support wireless display. With the ScreenBeam Transmitter, almost any Windows-based laptop can mirror/extend its display to HD projectors and HDTVs. Users can share video, pictures, presenations programs or apps. It's perfect for corporate environments with multiple users and laptops. With ScreenBeam, you are never restricted to specific services, sites or browsers. This solution is not compatible with Apple Mac OSX. 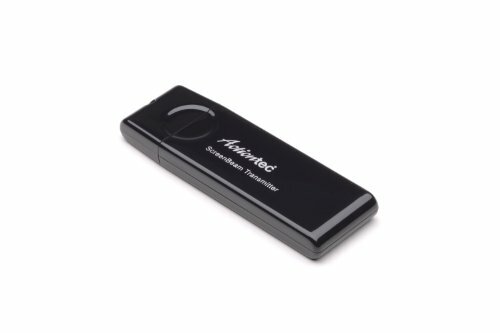 For use with Actiontec's Screen Beam Pro (SBWD100A01) and Windows 7/8 devices that do not currently support wireless display. Allows nearly every Windows-based laptop to mirror/extend its screen to HD projectors and HDTVs. No restrictions to specific services, sites or browsers. Perfect for corporate environments with multiple users and a mix of different laptops. ScreenBeam Transmitter is easy to add to existing ScreenBeam Pro setups.